Our time in Scotland was a flurry of unceasing activity and I barely had any time to stop and breath let alone write a blog. It was a nice feeling being so involved with ministry that by the end of the day, we were exhausted. So, I did not write anything while I was in Scotland, but my wife is amazing and somehow found time. Now, we are at the next stop on our trip Newcastle, England, but I thought I would write a retro blog about two things while I had a little time to sit and reflect on our Awesome Father! The first is that it was just a blessing to be in Scotland. We were welcomed in such a mighty way and never got a negative glance. We got to encourage, strengthen, and pray for so many people and this was not even a place we planned on coming. At the beginning, God told us to look for the open doors and go there along the way. This was such a wide open door that it did not even appear to have one. It truly was a blessing to be in Scotland, and we know that God used us to bless many people. While we were there, I got to share several times a message God gave me while we were landing in Edinburgh. I did not get a prophetic vision like my wife (which she shared earlier in a blog titled Lighthouse of Life), but these two messages working together, hers and mine, blessed many people. God spoke the word to me to remind the people of Scotland that He is Faithful! The promises that He has spoken will come about, it just takes our faith and patient perseverance until it happens (Hebrews 6:12). The people in Scotland have been praying the promises of God into existence for so long. We met so many small fiery prayers groups who were all contending for God to come and do a mighty work in their land. How many years of prayer did it take for God to bring about freedom from slavery? How many were praying that this would be ended that we will never know or hear of? These faithful prayers prepared the way for God to move mightily. They are praying that God will send revival to their country and to Europe with the same fervor and expectation. Just as I reminded the people of Scotland of the Faithfulness of God and the surety of His promises coming about, I want to mind you as well. It seems that as we go throughout this life, the thorns of this world grow up and choke out the fruit from the promises God has made to us or given us through His Word. The cares of this world, deceitfulness of riches, and pleasures of this life choke out the fruit that the promises of God wants to bring about in our lives. Gods promises will always come about, but it depends on our continued faith and perseverance as to the timing and fruitfulness of these promises (Luke 8:14-15). So, hold on to every promise of God as if your life depends on it, because it does. Never let the lack of seeing things happen hinder you from believing and praying that the promises of God will come about. Trust and obey what God has said to you and never let anything else keep you from bearing the fruitful reward of His promises in your life!!! Never accept any less than the very best, the promises of God being fulfilled completely in your life and the lives of all you are around!!! This entry was posted in Jeremiah, Scotland and tagged Bible, Door, Edinburgh, Faith, Faithful, fire, Gibson, God, Holy Spirit, HolySpirit, Jeremiah, Jesus, Lord, Open, patience, Perseverance, Promise, retro, Scotland, Stirling on November 18, 2013 by gibsonsgoglobal. As we have been here, it is clear that the spiritual significance of this country is greater than we first imagined. It is ingrained into everything here, even down to the Scottish flag. It’s creation and symbolism has great spiritual meaning and was the image of victory in the past. It is in the shape of Christian Apostle and martyr, St. Andrew’s cross symbolizing his crucifixion upon an x-shaped cross. Legend has it that in 832, Óengus II led an army to battle and on the eve of the battle, he was engaged in prayer and vowed that if granted victory, he would appoint St. Andrew as the Patron Saint of Scotland. Andrew then appeared to him in a dream and assured victory. On the morning of the battle, white clouds forming an X shape in the sky were said to have appeared. Upon seeing this, Óengus and his men took the field and despite being inferior in numbers, were victorious. Currently, we are staying in Stirling, Scotland and there are mounds of historical and spiritual significance here. Stirling was once the capital of Scotland but is interestingly enough, one of Scotland’s smallest towns. King James VI of Scotland who became King James I of England was crowned at The Church of the Holy Rude here in Stirling, he was baptized at Stirling Castle and his name may be familiar to you because the King James Bible written in 1611 bears his name. Wow! Just as significant as it was to hold Stirling and to keep it from being taken over by invading armies in the early years, it is equally as important now. 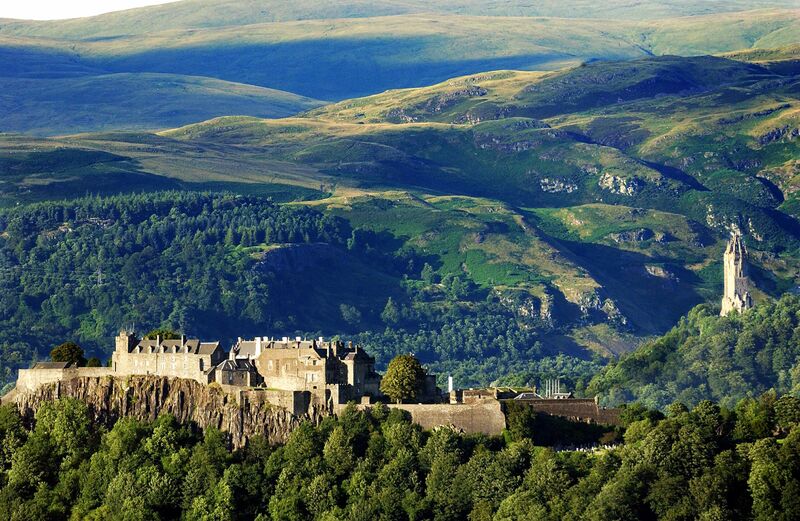 Once an invading army was able to capture Stirling, they had easy access to all of Scotland. Upon visiting the Stirling Castle and learning of its history and the lives that were given to keep Stirling in Scottish hands, I realized that this same battle is taking place today. Perhaps not quite the same with gaining power over the land physically, but spiritually. It is said that Scotland is the “Gateway to Europe.” You can reach the countries of Europe easily from Scotland and this I believe, is a prophetic word. It also explains the vision of light missiles that the Lord gave me in prayer for Scotland as well as another man which can be found in my previous post, Lighthouse of Life. There is an openness here and God is being invited in through so many different people and He is doing crazy things. Being able to partake in many different ministries here in Stirling, I have no doubt of that or that Stirling has a big part in this move. “He who holds Stirling holds Scotland.” All it takes is God’s people coming together in unity and contending for this to occur. Oswald Chambers said, “Prayer does not prepare us for the greater work, prayer IS the greater work.” A Scottish man told us at a cafe church that a missionary years ago said the Lord gave him the message that, “Strangers will come and build your walls”, in regards to Scotland. Isaiah 58 compares true and false worship and true fasting that heals, frees, loves, restores, serves. Verse 12 says, “Some of you will rebuild the deserted ruins of your cities. Then you will be known as a rebuilder of walls and a restorer of homes.” Isaiah 60 is talking about revival and verse 10 states, “Foreigners will rebuild your walls…” God has revealed this as a promise over Scotland. A battle wages today for souls. The enemy will do whatever he can to divide and conquer and he will steal, kill and destroy whatever he can get his hands on in the process. Is there any area of breach in your life? Is there any offense that has been allowed to take root and birth bitterness, anger, unforgiveness? Romans 16:20 says, “The God of peace will soon crush Satan under YOUR feet.” If there is, I encourage you to hand it over to God and through His power, crush the enemy!!! The victory is freely yours through Jesus! Take hold of your triumph today!!! This entry was posted in Katie, Scotland and tagged Andrew, Battle of Stirling Bridge, Braveheart, Edinburgh, Glasgow, God, Holy Spirit, Isaiah, James VI and I, Jesus, Patron Saint of Scotland, Revival, Scotland, Stirling, Stirling Castle, Walls, William Wallace on November 13, 2013 by gibsonsgoglobal. God is moving quickly and He now has us in Scotland! The call to come here was so evident and was what I believe to be the widest open door that we have had so far. We have been more than welcome here and have been privileged to partake in numerous ministry opportunities. While on the plane traveling to Scotland, I was praying for the Lord to show us what we were to do here as well as claiming a word from my sister-in-law, Tiffany, that God would reveal to us what the spiritual needs of the countries and places we travel to are. The Lord then gave me a vision of a large lighthouse with a bright light shining directly up to the Heavens placed atop a vast hill. There were many believers gathered around it praying, worshipping and asking the Lord to “Open the Heavens Wide.” Each time that this was sung, the intensity of their passion grew and they poured out more of themselves into this prayer. With each growing cry, the light shone brighter and grew larger. As this progressed, a hole began to open in the clouds and the glory of the Lord filled the sky as the beam of light reached into the Heavens. The hole opened up even more and this continued until the people gave absolutely everything that was within them. Then, the light in the Heavens (God’s presence) exploded and came down and filled the plush, green land. When it dissipated, particles of light began to appear all across the land and missiles of light shot out to nations all across the world. The interesting thing upon sharing this vision with the people here is that God has revealed this same vision to other Americans who were then led here upon His call. A woman years ago had a vision of 400 lighthouses. I met a man at GHOP (Glasgow House of Prayer) from my hometown who received a similar vision of the lights and missiles reaching out to the nations that eventually led him here to stay. Another American woman spoke of a lighthouse whose light (revival) spread from the northwest to the east, as mine did. There are over 100 cities/towns where Lighthouses of Prayer are taking place in Scotland, of all denominations and backgrounds praying for this move. We’ve met a few leaders of the groups and the lighthouse is a very significant symbol to them. We’ve found that there is a lot of prayers going up but a lack of unity among the churches and ministries which has been taking place for centuries. Please join us in prayer for Scotland that the spirit of division would be destroyed and that unity would be restored to the people. Psalm 133 says that where there is unity, the Lord commands blessing. Light= what is Good + Right + Pure. Christ is the Light. I urge you to take hold of these verses and to be that beacon of light that helps usher in awakening. If there is any place in your life where there is a lack of unity or broken relationships, I encourage you to do your part in mending them so that unity will come that will bring forth blessing. 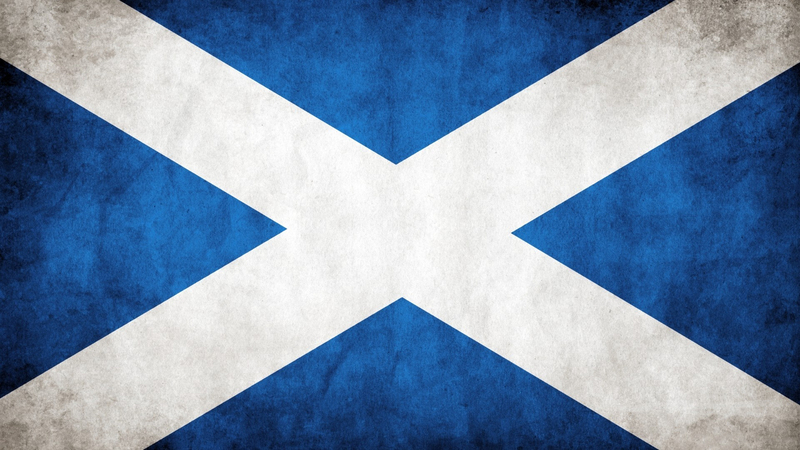 What better blessing than to see Scotland, your nation and all nations be revived and set on fire for Jesus!!! This entry was posted in Katie, Scotland and tagged American, Christ, church, Doors, Epistle to the Ephesians, fire, God, Heaven, Holy Spirit, House, Isaiah, Jesus, Light, Lighthouse, Lord, Ministry, Missiles, Nations, Prayer, Revival, Scotland, United States, Unity, Vision on November 10, 2013 by gibsonsgoglobal.